New titles, new programs and more are coming to Utah State University Eastern this spring. 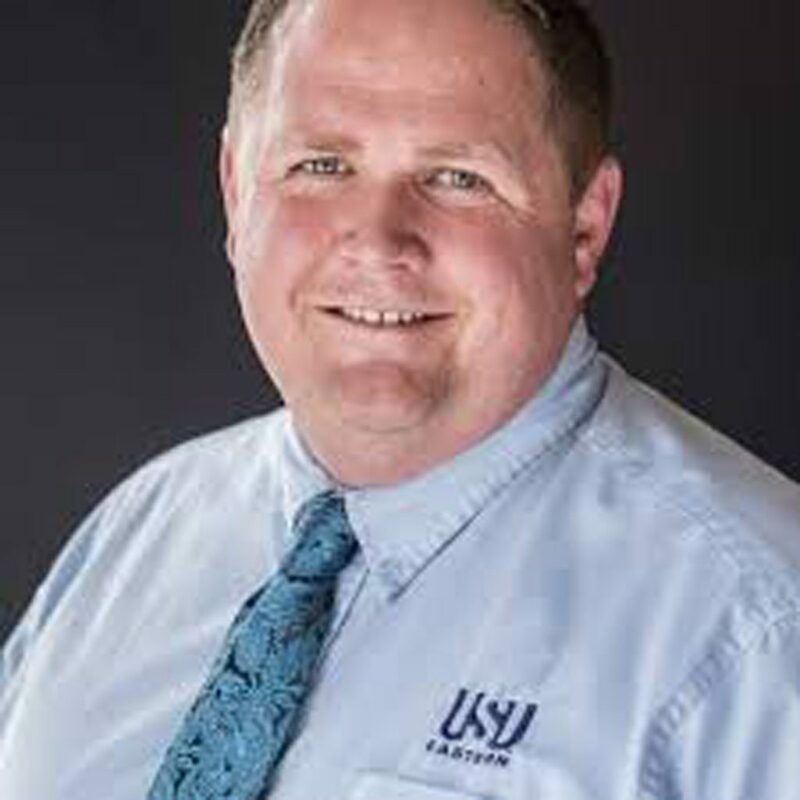 Vice President David Woolstenhulme, from the Logan Campus, is now Eastern’s interim chancellor until USUE goes through the legislative session to change the titles campus must have. The legislative session starts in late January to replace the chancellor position with an associate vice president. Greg Dart is the new associate vice president, with Kristian Olsen taking Dart’s former position over student affairs and enrollment services, while Amy Peters is promoted to the director of operations position. Gary Straquadine, who was interim chancellor over the summer and fall semester, is now vice provost as well as an associate vice president. Straquadine is over the USU CTE programs statewide and specifically in the Southeast region comprised of the Price, Moab and Blanding campuses. How will these changes affect faculty? Dart responded positively about the changes. Faculty on the Eastern campus have a sort of a dual reporting to the Eastern and Logan campuses. With the changes to administration on the Eastern’s campus, faculty will report all academic areas to the Logan campus and only need to go through the Eastern campus for budgets and travel. “This change cleans up something that has been a challenge for the past nine years,” Dart explained. What will these changes mean for staff? Dart said that “there should not be many changes for staff, other than who they report to may change on campus with the multiple changes in administration.” As for what students can expect from the changes, Dart explained that no immediate changes will occur for students other than seeing different faces in offices throughout campus. He hopes this change in administrations prepares the Eastern campus to give offerings in academics that were not available before. With the chancellor position, academic administration, being removed from campus, it gives Eastern’s campus more money for future and current academic programs. The Eastern campus, is bringing many CTE programs as three new medical programs and an aviation program. It also means bringing more academic degrees to the campus. Many faculty members campus have a workload of five classes, which is much more than other higher education faculty members. Dart believes that aligning with the departments in Logan more will help decrease the class load at Eastern. USU Eastern is working on securing more faculty, online classes and broadcast classes with the new budget they have for academics. Dart says that they are looking at unique ways to fix the two different tuition scale which is an issue for students on the Eastern campus transitioning to a bachelor degree. One of the ways to fix this problem is that a students first 60 credits will all be the same flat rate of tuition, no matter the level. Another concept Dart plans on working with his new position is helping Price become more of a “college town.” Dart explains that the only way to make Price a college town is continual growth of students. With that growth, comes support from the community when the campus community and city community become intertwined. There are student discount cards where local businesses give discounts to students. The Eastern campus is working with the community to make 100 North University Avenue that way when students and community members feel connected.